On the surface, there’s very little to distinguish Huawei’s Mate 10 and Mate 10 Pro from the Pixel 2 XL or Galaxy S8. They have the same 6-inch screens, small bezels, curved edges, and sleek design as their premium peers, but Huawei isn’t trying to wow you with the Mate 10’s beauty. It wants you to fall in love with its brain. And the Mate 10s have a big, beautiful one. Powered by the Kirin 970 chip, Huawei’s newest flagships aren’t just about speed boost and power efficiency. The phones also feature a dedicated neural processing unit (NPU) that brings AI and machine learning to all aspects of the phone. Even in my short time with it, I was extremely impressed. The Mate 10 and Mate 10 Pro have important physical differences, but they look remarkably similar. Even with a home button, the 5.9-inch Mate 10 is just 4 millimeters taller than the 6-inch Mate Pro. I couldn’t see much of a difference between the Mate 10’s 1440p LCD screen and the Mate 10 Pro’s 1080p OLED one, and even the Pro’s 18:9 resolution doesn’t really make it stand out. The Mate 10 Pro has a larger OLED screen, but it doesn’t look much different than the Mate 10’s LCD one. Both phones feel nice to hold due to their “multi-axis” curved design, and the glass back feels smooth but not slippery. There’s a horizontal stripe encasing the camera on the back of the both phones, which adds a touch of visual flair, but overall, they’re relatively unassuming devices. However, once you start using the Mate 10, you begin to see how much Huawei has put into it. Not only is it one of the first Android phone to be based on Oreo, it’s also the first to feature an NPU, which adds a level of intelligence I haven’t seen on other phones. Last year’s Mate 9 brought Alexa integration to an Android phone for the first time, but the Mate 10’s NPU is something entirely different. 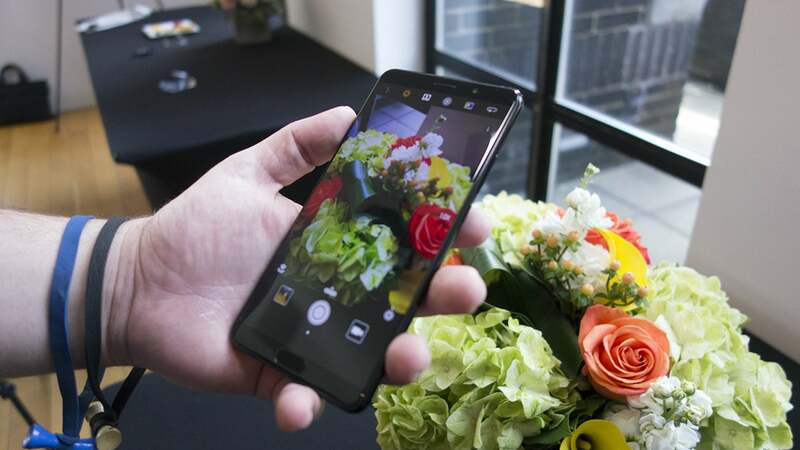 Huawei’s Kirin processors have always been able to stand shoulder-to-shoulder with the latest Snapdragons, but the 970 takes things to a new level. Not only does the new chip bring the usual speed and power enhancements, Huawei says the NPU will work with the CPU to deliver up to 25X performance improvement when needed. That means the chip can crank up the power when it’s needed, whether you’re running one of Huawei’s stock apps or a third-party one. 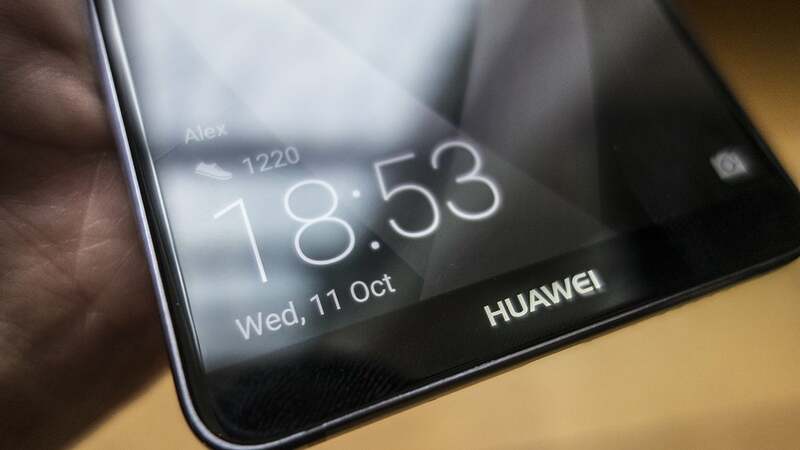 And Huawei also says the NPU will ensure that the phone will stay fast long after other Android handsets are showing signs of slowing down. The Mate 10’s camera knows what it’s shooting and adjusts the settings accordingly. The Mate 10s NPU is on full display when it comes to taking pictures. On the front, the AI engine will help the camera focus quicker when dealing with group shots, but it’s the main camera that gets the coolest tricks. Instead of digging into shooting modes or dealing with manual controls, the Mate 10 will automatically detect the object you are trying to shoot and adjust things like the exposure, white balance, and ISO to deliver the perfect shot. For example, if you’re taking a picture of a sunset, the camera will switch into the appropriate mode as soon as the field comes into view. I tested it with a bouquet of flowers, a plant, and a plate of food, and the object recognition was nearly instantaneous as I moved the camera between them. Huawei says the AI engine will evolve over time to recognize more scenes, but from what I’ve already seen, it’s even cooler than Apple’s Portrait Studio modes. The neural processing engine also handles power management, adding a 50X improvement over the CPU alone. Huawei says you’ll be able to get 20 hours of video playback and 4G web browsing on a single charge. By comparison, Apple only rates the iPhone X for 13 hours of video playback and 12 hours of internet use. 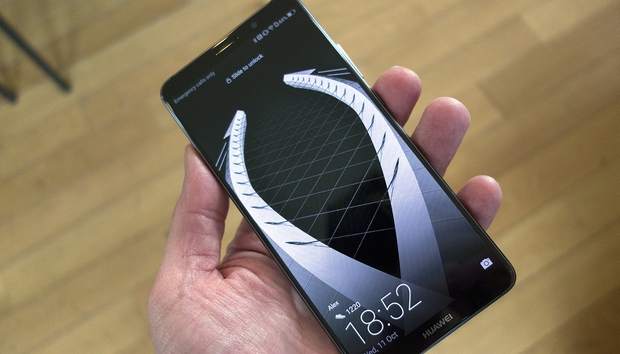 Obviously, real-world use will be the true test, but Huawei’s claims are pretty major. The Mate 9 was extremely impressive when it came to battery life, but even with the same 4,000mAh battery, the Kirin’s 970’s NPU could represent a real breakthrough in battery life. The Mate 10 uses its Neural Processing Unit to quickly translate text. Translation is becoming one of the premier features of AI engines. We saw it on the Galaxy S8 with Samsung’s Bixby Vision, and Google has built a translation feature into its new Pixel Buds earbuds. Like Bixby, Huawei’s method also involves the camera, but you’re not using the camera app. Instead it works with Microsoft Translator, which is pre-installed on the Mate 10 and has been optimized to work with the NPU. In my brief testing it was extremely fast and accurate, and you don’t need to be online to use it. As soon as I snapped a photo of the text I wanted to translate, the English translation appeared on my screen. The best use of the Mate 10’s new intelligent chip will be in the subtle ways it anticipates your needs and adapts to your environment. For example, if you’re reading in bed at night, the chip will automatically turn on the blue light filter based on the time of day, the light in the room, and what you’re doing. On most Android phones, you can set a daily schedule for when you want the filter to kick on, but the Mate 10 will be able to dynamically activate it during the times when you actually need it. 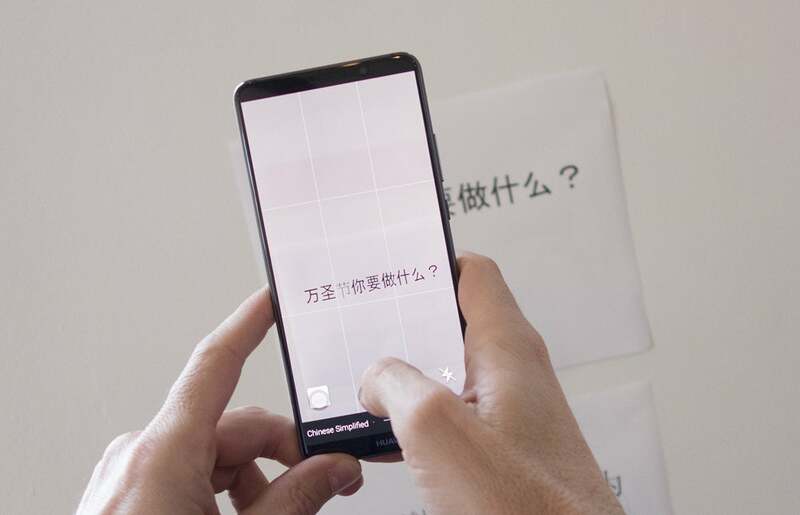 Huawei says that this type of machine learning will be visible all over the phone, such as grabbing relevant info when you scan a business card or applying depth of field to photos. It’s similar to what we’ve seen in Google Lens demos, but this is built into the phone itself.